Taking the railway full-circle requires the best part of three hours. The trains squeak and grind along old and often bumpy tracks—a journey that offers unique insights into the fabric of the city. 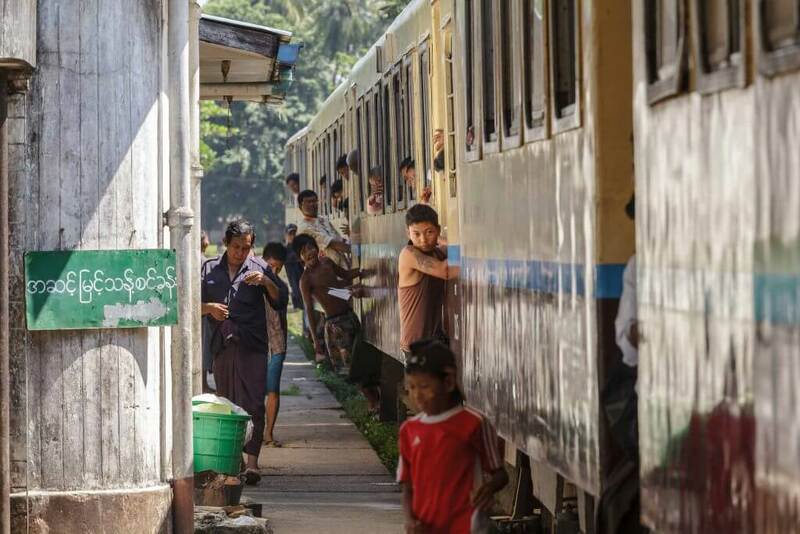 Many believe this creaking railway will hold a central place in Yangon’s future as a rising megalopolis. Could it? 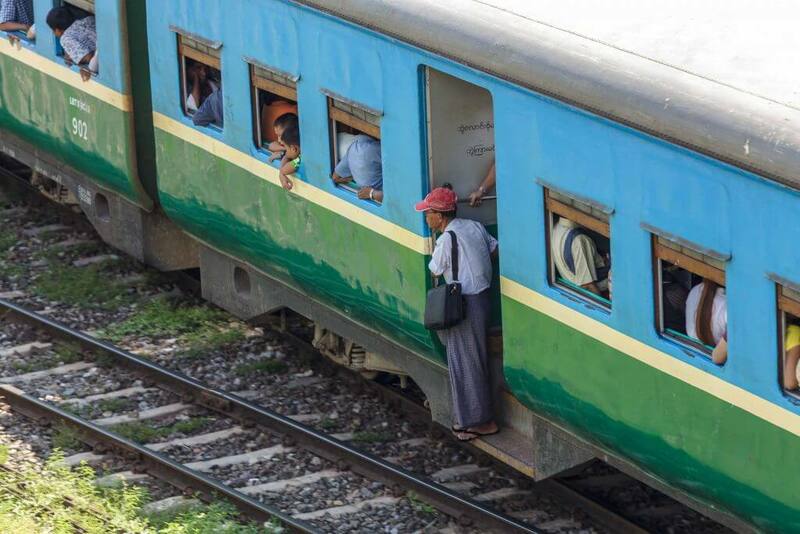 Only about 100,000 of Yangon’s daily trips are made by rail, compared to about two million by bus. This is owed to the trains’ slowness and infrequency. But some—including foreigners—appreciate the railway’s bumpy charms. Some staff of the Japan International Cooperation Agency (JICA), for example, told the authors that they commute by train each morning from their homes a few kilometres northwest of their offices, in the Sakura Tower. This makes for a somewhat slower commute, undoubtedly—but one more relaxing than Yangon’s inevitable rush-hour gridlocks. The train is also cheaper than travelling by bus, and traders can transport larger quantities of goods from market to market on the spacious wagons. 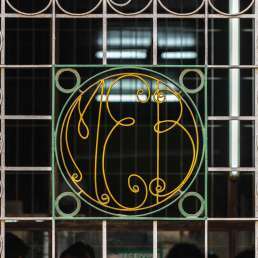 The circle contains 39 stations along 45.9 kilometres, with the Central Railway Station at its heart. Services run clockwise and anti-clockwise. 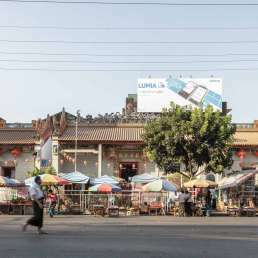 Important stops include Lanmadaw, Kemmendine, Kamaryut and Insein stations, all of which are townships and former towns and villages in their own right, lying outside Yangon’s historic core. Going clockwise, the train makes a right turn after the market of Danyingon. From here, the setting becomes more rural; the train passes a golf course, military facilities and Yangon International Airport. It then returns to built-up areas as it approaches downtown. 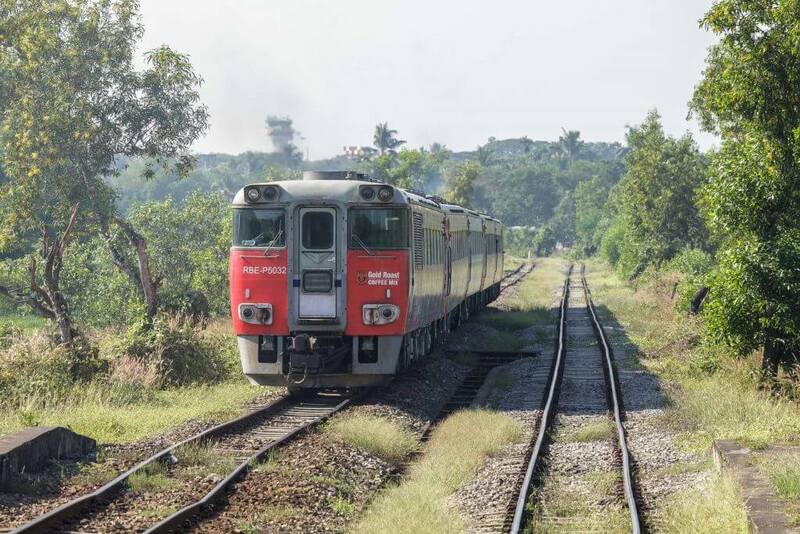 Mingalardon, Okkalar, Kanbe, Tamwe and Pazundaung are the next major stops before the train pulls back to the Central Railway Station, where your journey probably began. Because of the city’s peninsular setting and the lack of bridges—which could have aided concentric growth away from the centre—the downtown area is nestled at the southernmost end of the city. As a result, traffic flows south towards the centre and north towards the periphery, according to the timings of the working day. Even before the war, this was a known problem, although traffic was, of course, only a fraction of today’s. Back then the city counted about half a million inhabitants and only had three road and two rail exits. Prome Road (today’s Pyay Road) was the main outlet, and despite having three lanes, heavy traffic here caused frequent accidents. The number of cars has soared since import restrictions were lifted, and the situation has worsened considerably since those days. Pyay Road continues to bear the brunt of the traffic until Insein Road splits off at the southern end of Inya Lake. Kaba Aye Pagoda Road is another main north–south artery. The authorities are investing in traffic management systems, and the city would gain from more efficient signalling. Meanwhile, flyovers on Pyay Road and Kaba Aye Pagoda Road have alleviated some of the congestion around crucial intersections. But they don’t solve the fundamental problem of excessive car traffic flowing north to south and vice versa. Public transport can provide at least a partial solution. An operable Bus Rapid Transport (BRT) system may still be years away: the challenge is to unify the constellation of small independent bus operators (with their often old and roaring Japanese-made buses) into a modern, single system using designated priority lanes. 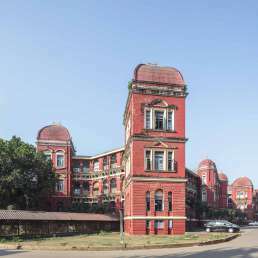 An upgrade of the circular railway could make a huge difference too: in its master plan for Yangon’s future development, JICA assigns a key role to a modernised circle line that would operate at faster speeds and with greater frequency. The challenge is significant: the 1,000 mm gauge tracks are on soft soil and require major civil works to strengthen the bed. The rolling stock consists of about 200 coaches and 21 trains, some of them dating back to the 1960s. Unsurprisingly, these are also in dire need of major upgrades. Numerous railway crossings further reduce the average speeds the trains can reach. Station facilities are old and often obsolete (although the combined weight scales and horoscope machines at the Central Railway Station must surely be preserved!). Early cost projections for a comprehensive overhaul assume 10 million US dollars per kilometre of track, bringing the overall tally to 400 million US dollars. But that would just be the beginning. More investments are needed over the next decades to make JICA’s predictions a reality: by 2040, the agency estimates 30 per cent of Yangon’s public transport will become rail-based. The circular route will be enhanced. Additional lines would bring the total length of track to more than 300 kilometres. One of these extensions would connect the circular line to the special economic zone and deepwater port in Thilawa. JICA’s role in master-planning Yangon’s future is understandable: Japan is by far the largest provider of soft loans for infrastructure development in the region, from metro lines in New Delhi, Bangalore and Chennai to the Skytrain in Bangkok. Frequently (although not always), Japanese firms end up winning the tenders for construction or provision of rolling stock—or both. While Japan has been criticised for such instances of “tied aid”, the country’s expertise in urban transportation is undeniable. 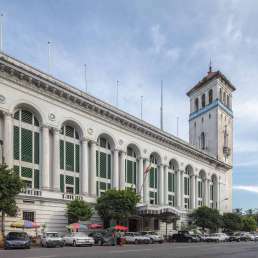 Meanwhile, Myanmar Railways has begun the tender process for a complete transformation of the Central Railway Station and its vicinity to the south and southeast. The responsible ministry estimates the project to cost as much as 2.5 billion US dollars. This entails the construction of several tall buildings on an area primarily occupied by sidings and maintenance facilities. Meanwhile, Japanese computer-aided design visualisations of the station foresee it becoming a hub at the heart of urban rail, the BRT and—someday—underground metro lines. 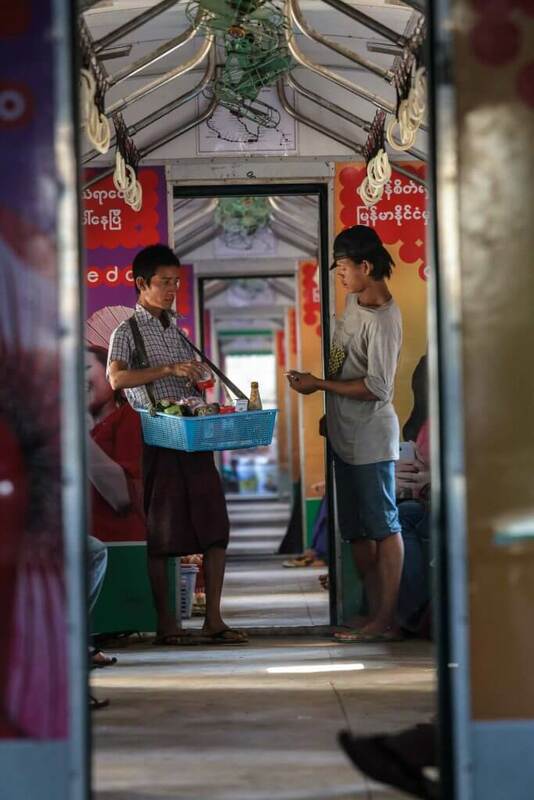 As you travel around Yangon’s circular railroad, you may wish to take photos of the life teeming around the wagons and stations. If all goes to plan, the pace of change in the coming years will be profound. Japan International Cooperation Agency, JICA. 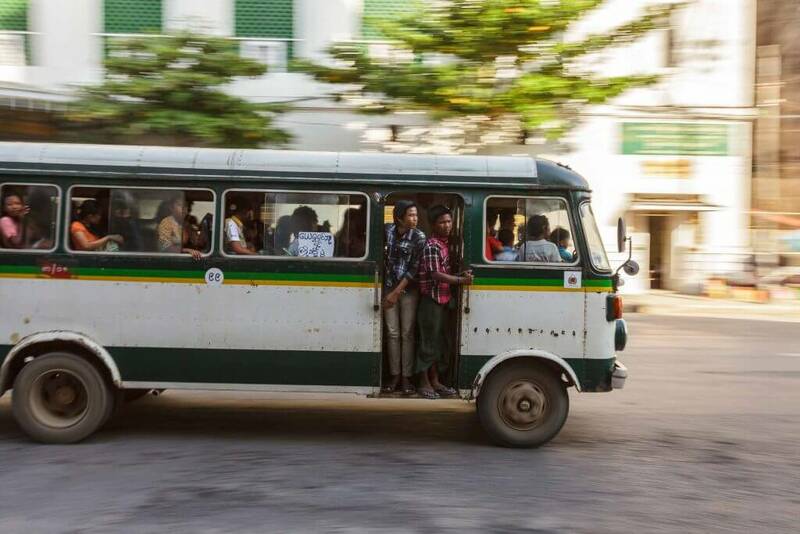 Yangon Urban Transport Master Plan: Major Findings on Yangon Urban Transport and Short-Term Actions. 2014.